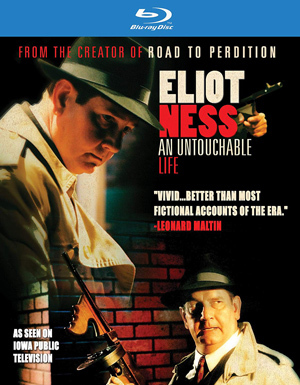 This weekend I watched the “check disc” for the forthcoming Blu-ray of Eliot Ness: An Untouchable Life. I was very pleased. We had gone to some trouble and expense to shoot in HD (at the time something rather new, particularly for low-budget productions), and having the feature appear as intended, looking rather beautiful, is gratifying. It’s made bittersweet by seeing the amazing performance of Michael Cornelison, who passed away in 2011. The loss of this key collaborator on my film and TV work remains painful. Mike and my great friend and collaborator Phil Dingeldein are featured on the commentary, which listening to is also bittersweet…and I wish I hadn’t dominated it so. But I tend to do that in such situations. The Blu-ray has everything on it that the DVD did, and “An Inconvenient Matter” – the short film that was the last collaboration between Collins, Cornelison and Dingeldein – is also in High-Def for the first time. It’s an overtly film noir piece written by Chuck Hughes, my fellow Iowan and the screenwriter of Ed and His Dead Mother, a cult fave. This is the only time to date I’ve directed a script I didn’t write, and it was fun and interesting. There’s a Collins/Cornelison/Dingeldein commentary on that, as well. 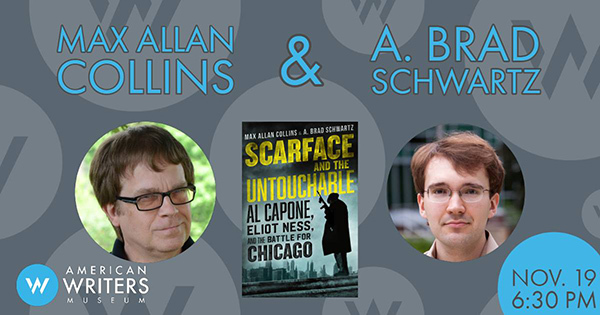 Obviously, the advance buzz about the “magnum opus” (as the publisher describes it), Scarface and the Untouchable: Al Capone, Eliot Ness and the Battle for Chicago by A. Brad Schwartz and me, inspired this release. The book is out in August, but the Blu-ray will bring up the rear in October. You can pre-order the disc at Amazon (and I wish you would). Phil and I are exploring a new film project around the second Mike Hammer play, The Little Death, that is scheduled for January 17 – 27, though if it sells out like the previous one did, an extra week may be added on. This will again star the wonderful Gary Sandy, and I am negotiating with legendary producer Zev Buffman to direct it myself. All concerned are hopeful that I will be able to direct a film version, somewhat in the style of the Eliot Ness: An Untouchable Life feature. 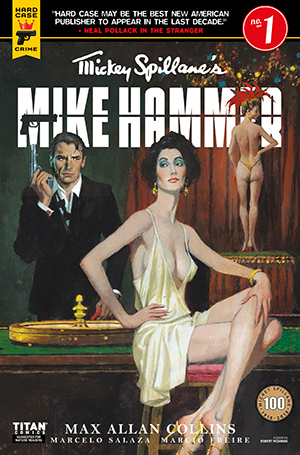 Speaking of Mike Hammer, the first issue of the serialized graphic novel, The Night I Died (developed from some of the same unpublished Spillane material that inspired The Little Death play) will be in comic book shops this week. A number of sites feature an advance look at the comic book, and this link will take you to one. Crusin’s summer/early fall season (we mostly lay off in the later fall and winter) continued on Sunday with an appearance at the Muscatine Art Center’s annual Ice Cream Social. It was a fun, informal event, and the crowd liked us just fine, though I would be surprised if the ice cream and pie didn’t get even better reviews. 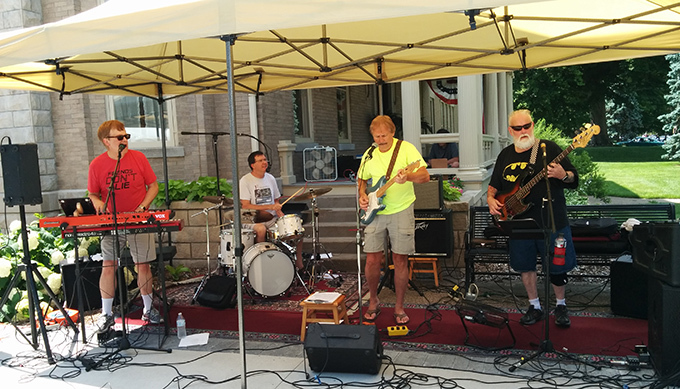 Our next appearance is in Muscatine at the Missipi Brew in their beer garden on the Fourth of July, which is on July 4 this year, interestingly. This can be a grueling event for us, particularly if we draw a hot day/evening. It’s also one of the longer shows we do, at least three hours. Lately we’ve been limiting ourselves to one- and two-hour gigs. This does get more physically taxing, the loading in, setting up, tearing down and loading out in particular. How much longer I will be able to indulge myself in my rock ‘n’ roll fixation remains unclear. Here is a very nice Quarry in the Black review. The cover of that one – I believe the great Glen Orbik’s last, completed by the very talented Laurel Blechman – is popping up all over the Net. It’s much admired, and I’m pleased to have acquired the original for my office (in my home with its sophisticated security system). Here’s a little write-up about my long-ago Digest Dolls card set. 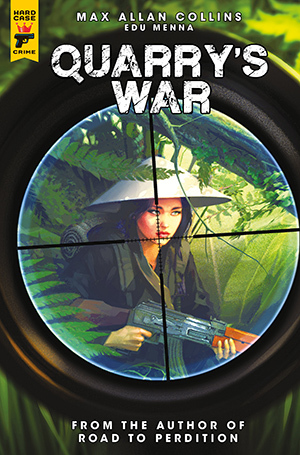 Finally, here is a really nice review of Scarface and the Untouchable in Publisher’s Weekly. 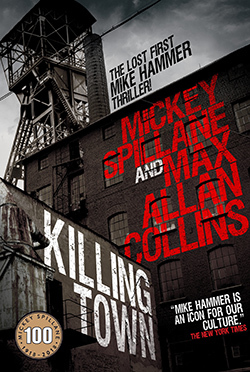 Titan and its Hard Case Crime line of noir comics has officially announced the Mike Hammer comic book – actually, a graphic novel that will first be serialized as a four-issue comic book series – and word about it is all over the Net. We even made the Hollywood Reporter – see for yourself. One of the most exciting aspects of all this is having the great Robert McGinnis provide a cover for a comic book – isn’t that a first? 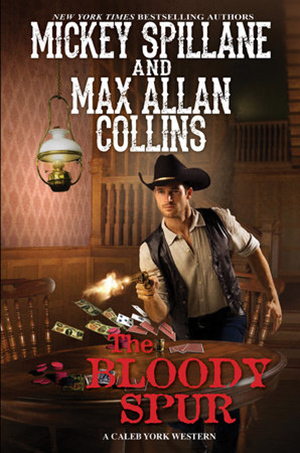 As I kid I dreamed of having a book of mine appear with a McGinnis cover – now I’ve had five! The other covers are great, too, and you can see some of them here. A lot of the Net write-ups take the angle that this is the first time Mike Hammer has appeared in a comic book. Well…kind of. 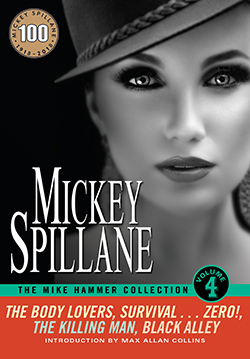 Hammer was originally conceived by Mickey Spillane as a comics character, first materializing as Mike Lancer in Green Hornet Comics #10, December 1942. Mickey probably wrote this right before going into the Army Air Corps. Mickey re-named Lancer as Mike Danger, with the same artist, Harry Sahle, and tried to market it after the war. The lack of success of the comics version led Mickey into doing a prose version of the character, re-named (do I have to tell you? 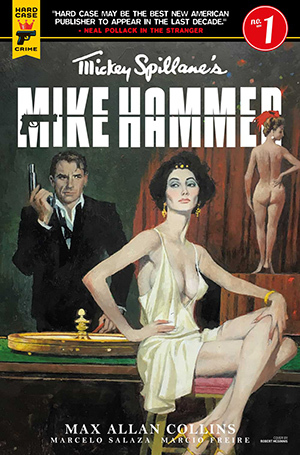 ), Mike Hammer. Hammer’s first appearance in print was in 1947’s I, the Jury. Two of Mickey’s unsold Mike Danger comic book stories appeared in Crime Detector #3 and #4 in 1954. Mickey didn’t know about this till years later – somebody pulled them from a drawer and sold them…the unsigned artist maybe? Not Sahle, who did not draw the two stories that were published; but Mickey apparently put together an entire issue, so one or two other stories remain lost. Hammer himself hit the comics in ‘53 – not funny books, but in newspapers as a daily and Sunday strip, written by Mickey and sometimes by Joe Gill and the strip’s terrific artist, Ed Robbins. It ran for about a year and was collected, and edited with an intro by me in a fifty-buck book from Hermes Press. But you can get it here (in digital form) for under $15. Here’s where we get into technically murky waters in claims that my comic book series is a first for Mike Hammer. I have two issues of an Australian Mike Hammer comic book from the ‘50s doing reprints of strips. Not original material, however…. Remember Mike Danger? Well, some of you know that Mickey and I revived the original character for Big Entertainment. The differences between Danger and Hammer are slight, but the comic book stories we did from 1995 – 1997 were science-fiction-oriented. For most of the run, Danger was thrust up into a politically correct future. Toward the end we returned him to the 1950s for X-Files type s-f. The first cover was by Frank Miller, a longtime Spillane enthusiast, and my pal Terry Beatty worked on the book for the last year or so, inking several other artists. I would love to see these collected. You can read about Mike Danger’s torturous history in even more detail here, at Kevin Burton Smith’s fine Thrilling Detective web site. Does this take anything away from the upcoming Mike Hammer four-issue comic book series? Not at all. 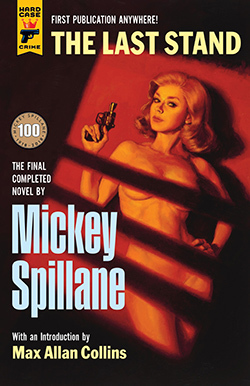 It’s just that he and Mickey Spillane – who once wrote comic books for Timely and other Golden Age outfits – are not strangers to the medium. 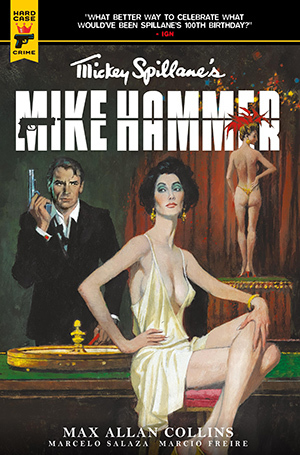 And it will be a great, significant part of the Mike Hammer centenary celebration. 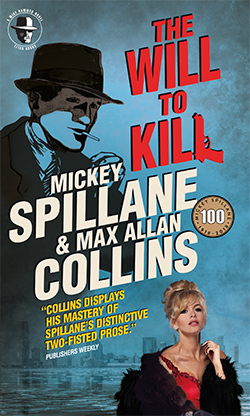 My graphic novel, “The Night I Died,” has a basis in an unproduced Spillane screenplay from the early ‘50s, although I have set it in the vague 1960s, around the time of the Darren McGavin TV version. The art by Marcelo Salaza and Marcio Freire has a lot of flair, and I am glad to be part of bringing Mike Hammer more officially to the world of comic books…back again for the first time ever! Two quick notes on movies…. Do not come to our house with torches, but Barb and I did not like Black Panther. In fact, we walked out after about an hour. We are not racists (although most people who say they aren’t are), but found it dumb and convoluted and pandering, with a torturously slow set-up. Speaking of racist, I found the central notion of an African country developing advanced technology but hiding it from the world by pretending to be backward tribesman, well, racist as hell. Now ours is obviously a minority (you should pardon the expression) opinion. We are probably wrong. But we don’t sit through anything we don’t like anymore. We have better things to do, and to watch. Speaking of which, Game Night with Jason Bateman and Rachel McAdams, both wonderful, is one of the best comedies of recent years. Reminiscent of Mad, Mad, Mad, Mad World, it’s a crime story and wild comedy about a group of couples going after a shared goal; along the way it pays surprising attention to character. Mostly, though, it’s just very funny. Kyle Chandler and Jesse Plemons of the great TV series Friday Night Lights are among the stars, and both are hilarious. One imagines every time “Cut” was shouted at the end of a Plemons take, everybody on set fell apart laughing. This had two directors, apparently collaborating (as opposed to one of them getting fired and replaced), one of whom is John Francis Daley who was the main geek on the great Freaks and Geeks TV series. Good for him!